Firearm scope lenses are reinforced at the front to handle the rearward kick. ASR Technology protects the scope lenses from the unique recoil of an airgun. 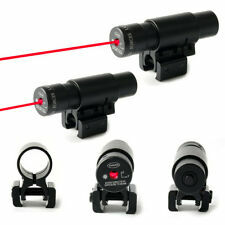 (These scopes and sights are designed for airgun use and are not intended for standard firearms.). Full-size rifle scope 4x magnification 32mm objective lens (adjustable objective) 1 tube Duplex reticle 3 eye relief 11.5 long 15 oz. It is a nice scope, clear picture and easy to focus. Rings are fine and everything is well finished and it feels and looks like a quality product. I will use it on a PCP where it is not subjected to the forces of a spring piston or gas piston recoil. I recommend it and I will buy another one when I need it. The price is very good for good quality. This scope is an excellent value. It comes ready to mount, and gives a bright,clear picture of the target. My only concern is that some (not all) descriptions of this scope state that it has the "Adjustable Objective" feature, which it does not. I have seen that listed by several sellers on eBay as well as across the internet. Other than that feature, which you would not expect at this price point, the scope is great! The scope had to be shimmed to get elevation squared away, but after getting the focus adjusted and elevation corrected the scope performed as advertised. The shimming could be the fault of the dovetail on the airgun as with iron sights adjusted within normal parameters it was dead on at 25 yards. I own numerous high end scopes and for the money this scope fills a niche in my "stuff". It sighted in easily and I'm very happy with it so far.